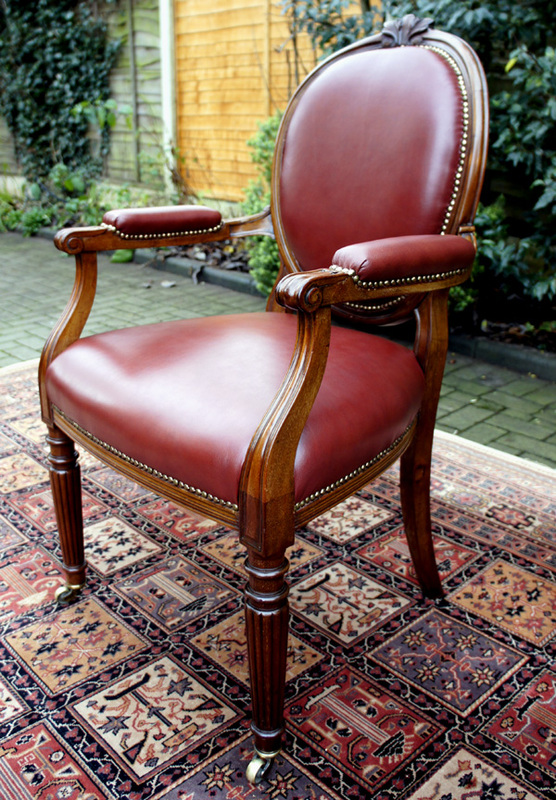 This large antique Victorian mahogany desk chair is made from top quality mahogany timbers. It has recently been professionally restored including re-polishing of the timbers and re-upholstered in a good quality chestnut coloured hide with brass studded borders. 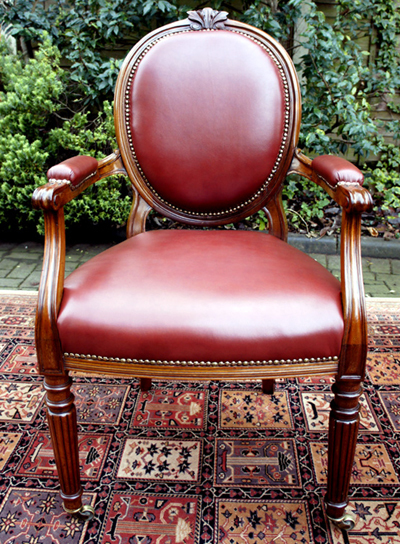 This large antique Victorian mahogany desk chair is made from top quality mahogany timbers. in a good quality chestnut coloured hide with brass studded boarders. This very attractive antique desk chair has an oval shaped back with carved decoration. The nicely carved arms also have padded central sections and terminate in bold scrolls. with a bowed front rail and reeded legs terminating in the original brass castors. 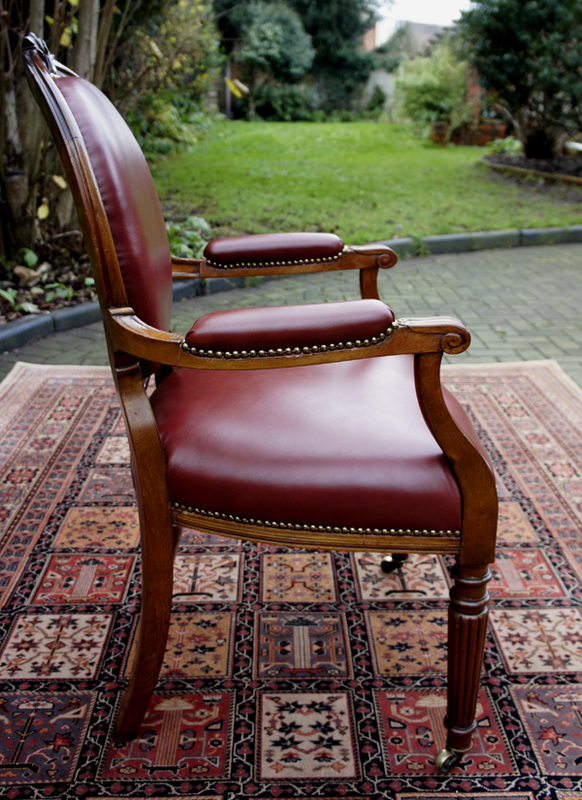 to an antique desk or as an occasional chair in a study office or library.